I solved this by uncheking the "Use command-line client" option from Subversion settings. This works with version 1.6 and 1.7 only. See @Vic's answer for SVN version 1.8. Check my solution, It will work. Disabling Use command-line client from the settings worked well form me on IntelliJ Ultimate 14.0. In IntelliJ Idea 2017.1 you can use the embedded SVN client that sadly is not enabled by default. Here's how you can activate it. 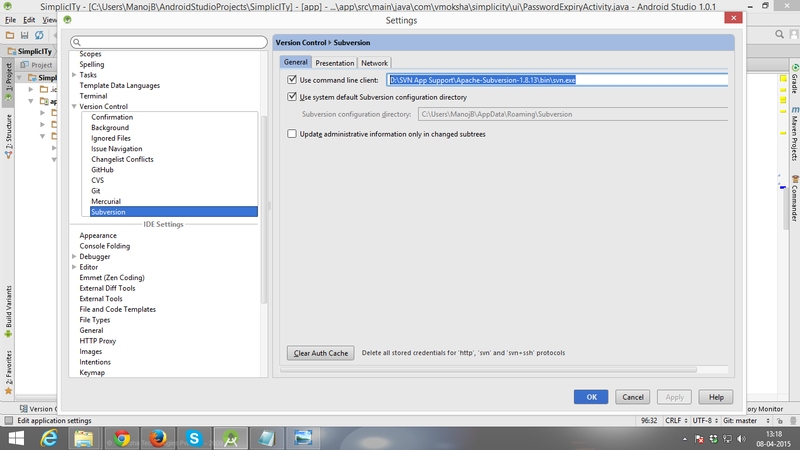 3) Type subversion to gain access to the subversion related settings. Choose the item Subversion Settings as highlighted in the following picture. 4) Finally, be sure to uncheck the option Use command line client. From now on, in the current project, you'll use the embedded subversion. Under settings ->verison control -> Subversion, uncheck use command line client. It will work. Basically, what IntelliJ needs is svn.exe. 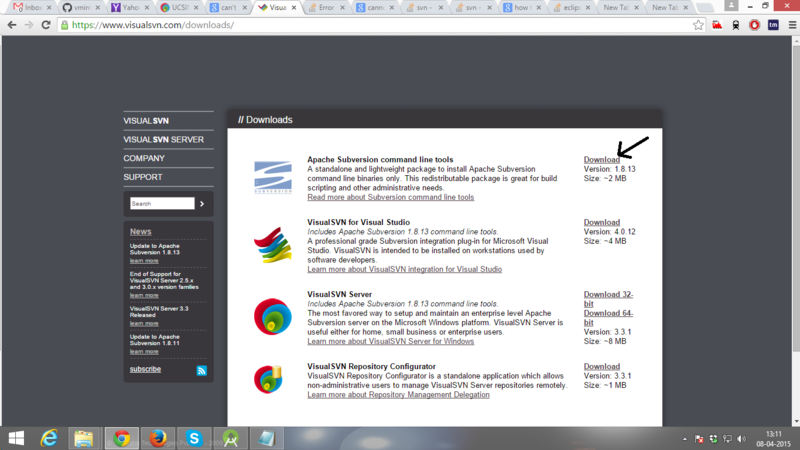 You will need to install Subversion for Windows. It automatically adds svn.exe to PATH environment variable. After installing, please restart IntelliJ. Note - Tortoise SVN doesn't install svn.exe, at least I couldn't find it in my TortoiseSVN bin directory. Disabling Use command-line client from the settings on IntelliJ Ultimate 14.0.3 works for me. IntelliJ IDEA comes bundled with Subversion plugin. This plugin is turned on by default. If it is not, make sure that the plugin is enabled. 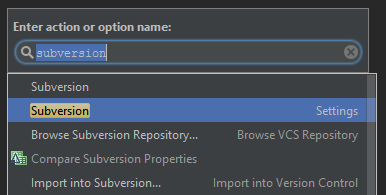 IntelliJ IDEA's Subversion integration does not require a standalone Subversion client. All you need is an account in your Subversion repository. Subversion integration is enabled for the current project root or directory. Not the answer you're looking for? Browse other questions tagged svn intellij-idea or ask your own question.